For the real estate industry, 2017 promises to be the year when agents embrace technology in a meaningful way. Real estate has remained slow to jump on board the digital revolution, despite technological leaps forward in other industries. Paper flyers, open houses, physical paperwork all remain staples of the business of selling real estate. However, the tide is turning. More and more agents are realizing that integrating technology into their practice yields a range of benefits and increased profits. 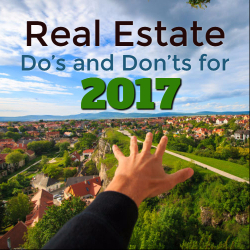 As agents look forward, there are a number of Do’s and Don’ts to keep in mind that could make or break the year ahead. In 2017, agents need to establish a strong presence on mobile. Why? Because today’s buyers and sellers use their mobile devices for everything, and real estate is no exception. The National Association of Realtors (NAR) expects more millennials to buy a first home in 2017 than ever before. This is a critical demographic for real estate agents, and this demographic spends more time on mobile devices than any other generation. The NAR’s Home Buyer and Seller Generational Trends Report 2015 revealed that more than half of Gen Y and Gen X buyers used a mobile device during their home search. Among those who did, 31 percent of Gen Y and 26 percent of Gen X found the home they ultimately purchased via a mobile device. Agents can and should leverage mobile devices in multiple ways. First, a mobile responsive website is key. Agents that don’t ensure their listings are as accessible and user-friendly as possible on mobile will lose valuable business. Buyers need the capacity to whip out their phones when they are out-and-about to browse new or nearby listings and look up information they need. Real estate professionals also need to implement mobile communication tools, like SMS. Millennials would rather text than talk, and communicating with clients on their own preferred terms is essential to cultivating a relationship. Agents can even automate some of their mobile communication and follow-ups using AI-powered CRM software (but more about this later). Thanks to the “Google-ification” of the world, customers today are used to pulling up information on-demand and conducting research on their own. This tendency towards self-service has changed the sales cycle because home buyers rarely show up wanting to start from square one. According to the NAR, 90 percent of home buyers search online at some point during their home buying process. People want to be active participants in the process—especially millennials. They want to control their search based on their specific parameters and easily compare their options. It’s important for agents to accommodate this shift in preferences and behavior. This means making as much information as possible online and integrating listings dynamically into a website. NAR surveys have found that 83 percent of buyers find including photos improves listings and 79 percent find detailed information about properties to be useful. Interactive maps, virtual tours, neighborhood information, and videos are necessary components of a modern real estate website. Agents can also set up property alerts for their customers so they receive the most up-to-date listings as soon as they hit the market. They can also enable customers to create and optimize their own property listing alerts, which has the added benefit of keeping agents in the know about what their clients want. These alerts can and should be optimized for mobile. On the agent side, real estate professionals can further take advantage of the shift towards self-service by deploying digital marketing campaigns that are tied into online searches. If someone is searching for a home in an area you regularly serve, use that as an opportunity to engage. Social media is hardly a new phenomenon, but it’s one that many real estate agents have yet to fully leverage. Today’s home buyers, as well as sellers, are active on Facebook, Twitter, Instagram, Pinterest and Snapchat. Each of these platforms opens up effective ways to connect with new prospects and maintain existing relationships. 2017 is the year to invest in a compelling social media presence, if you haven’t already. Get creative and develop an authentic voice. Social media is about cultivating a personality, engaging with people, and establishing yourself as a resource. Do publish neighborhood news, helpful blog posts, and striking images. Don’t directly promote yourself or your service, because people are on social media to have fun, not to be sold to. For example, Kenny Truong from ClimbSF has created a brand around being a “Fast Agent.” His Facebook page and all his content is centered around this theme, and he sends out engaging and entertaining content each week to his customers. By crafting a strong, unique and compelling brand, and leveraging social media to promote it, he has become the king of real estate social media. Traditionally, the real estate sales process has involved a lot of paperwork and mundane tasks. Customer Relationship Management (CRM) software automates significant parts of this process so agents can focus more on selling and less on nitty gritty details. CRM solutions put data at the center of sales to help agents make smarter decisions, as well as reduce the burden of grunt work, like follow-ups or sending documents. They help agents to identify leads, track their activities, and build relationships based on that information. Tracking and automation means that agents have more time and energy to dedicate to their clients. This year, be more efficient and effective by adopting a CRM system. Don’t waste time doing work you don’t have to. It’s not too late to set or start working on a New Year’s Resolution. Succeeding in 2017 will require agents to adapt to the evolving needs of their customer base and reach prospects where they are. Following these best practices, and avoiding these missteps, will ensure your real estate business rings in the sales for years to come. Typical late Spring trends are playing out for the San Francisco Bay Area right now, as sales volume has continued to pick up recently and inventory and sales volume have both nearly doubled since the beginning of the year. The median price paid for a home in the Bay Area also rose to a new post-recession high in April as potential buyers have continued to scramble in a seller’s market of limited supply. The median price paid for a home in the 9-County Bay Area rose to $610,000 in April, the highest since it was $629,500 in November/2007. April median was also a 5.4% increase from $579,000 in March, and a 19.6% increase from $510,000 in April/2013. The median peaked at $665,000 in June and July 2007, then dropped to a low of $290,000 in March 2009. 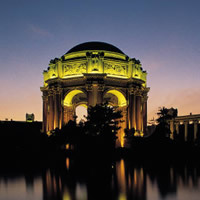 That means that by last month, 85.3% of the Bay Area’s post-financial-crisis decline had been regained. On a national level, home prices rose at their slowest yearly pace since February 2013, as the slow down in homes sales holds back larger gains. A recent CoreLogic report cited that prices are 10.5% higher than a year ago while April’s prices were just 2.1% higher than March levels, including distressed sales. The same report suggests that the weakness in home sales (volume) that began a few months ago is clearly signaling a slowdown in price appreciation. The 10.5% increase in April, compared to a year earlier, was the slowest rate of appreciation in 14 months. National home prices, which are continuing to rise as we head into the summer months, remain 14.3% below their peak, which was set in April 2006. Including distressed sales, the 5 states with the highest home price appreciation were: California (+15.6%), Nevada (+14.8%), Hawaii (+14.1%), Oregon (+11.8%) and Michigan (+11.3%). 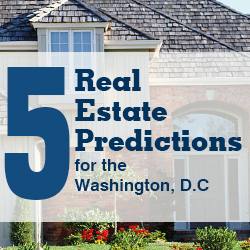 National home prices are expected to increase by 6.3% over the next year. Meanwhile, economic conditions continue to be a key factor driving the most recent housing market surge. However, several recently released economic and housing numbers may cause some to rethink the economic recovery. Revised GDP figures suggested that GDP declined at a 1% rate in the first quarter of 2014. The key driver of the downward revision was a much larger negative change in private inventories. This was payback from the positive contribution in the third quarter of last year. Nevertheless, this weakness in the economy shouldn’t continue since growth has already picked up in the 2nd quarter and most indicators suggest a strong rebound. Experts expect both residential investment and state and local governments to add to growth soon. And even investment in nonresidential structures should turn positive. Employment growth is also the necessary and most important factor in the improvement of the housing numbers. In California, employment growth has gained substantial momentum over the past couple of years and the unemployment rate has dropped from 12.4% in early 2010 to 7.8% currently. While San Francisco remains the leader with growth in tech sector, other geographic areas and industries follow closely. For the housing sector, most of the recent improvement has come from construction, where payrolls have been growing over the last few years, and although still a shadow of where it previously rested, rebound in homebuilding and construction employment is boding well for California’s economy and the housing market. Overall, U.S. home sales have slowed in recent months, raising some worries that the rebound in housing might be fading away. But much of that decline has been caused by reductions in both foreclosure volume and in sales of homes that banks acquired through foreclosure. The total volumes are not nearly as important as the composition of what is being sold and who is buying and the reality is that the residential real estate market is getting healthier and healthier each month. That health is reflected in the share of non-distressed/normal sale transactions continuing to rise. Distress sales already bottomed out for the Bay Area a couple of years ago and the Bay Area real estate recovery is way ahead of the national curve. Heading into the coming summer, home prices continue their precipitous rise throughout the Bay Area, while inventory levels and home sales continue the increases typical for this time of year. With the recent drop in interest rates and a continued positive economic and employment outlook, the current momentum should be sustained through the rest of the Bay Area’s summer buying season. The 2014 San Francisco Bay Area home buying season is now in full bloom and new listings, sales, and home prices continue to rise. Home prices have continued their upward momentum over the first few months of 2014, the result of continued low historic mortgage rates, a strong San Francisco Bay Area economy, and a tight supply of homes on the market. San Francisco Bay Area residential real estate inventory has risen by nearly 75% since the beginning of January and is slightly higher year-over-year (vs May/2013), but is still well below historical averages. While the there have been slight month-to-month increases in sales volume these past few months, we are seeing the lowest sales volume for any Spring since 2008. 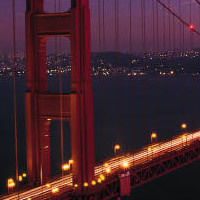 The San Francisco Bay Area median home price rose in March to $579,000, the highest since the median was $587,500 in December 2007. March’s median was a 7.2% increase from $540,000 in February, and a 23.2% rise from a revised $470,000 in March of 2013. On a year-over-year basis, the median has been increasing the last 24 months. 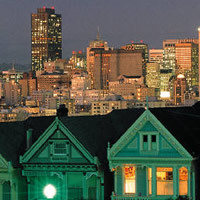 The San Francisco Bay Area median home price peaked at $665,000 in June and July of 2007, then dropped to as low as $290,000 in March of 2009. Approximately 3/4 of the median’s post-financial-crisis decline has been regained. While some of the year-over-year jumps in the median price can be attributed to a shift toward more mid- to high-end sales, most of it can be attributed to rising home values. The Wall Street Journal recently published an article explaining why home price gains aren’t actually lifting the economy, despite these recent years of gains. The question posed is as to whether housing has lived up to its true potential as a catalyst for a stronger recovery. Experts argue that while housing stopped being an economic drag a few years ago, it has failed to propel strong economic growth and rising home prices haven’t done much to stimulate the overall economy. Recent home price gains have had fewer direct benefits to the economy than in the past because they have done little to stimulate either new-home construction or increased spending paid for by home-equity borrowing. Furthermore, they say that current rising home prices won’t greatly stimulate the economy because gains that simply restore lost wealth aren’t as valuable as gains that create new wealth. Thus, home prices may need to rise even further for the economy to enjoy any “wealth effect” because it’s at that point when people will spend more because they feel richer as their home or stock portfolio rises in value. Growth is also deterred by tight lending standards, which have made it tougher for homeowners to take cash out of their homes with a refinance. Also, prices haven’t risen enough to encourage enough homeowners to sell, which has created inventory shortages that are being blamed for sluggish sales volumes and higher prices. And while home prices are up, they’re still not up enough to encourage builders to build more homes in light of higher land, labor, and supply costs. Meanwhile, home prices “are” up enough to significantly lower home price affordability and the latest Census Bureau data shows that the rate of home ownership in the US is at its lowest level in nearly 20 years. 64.8% of US families now own their own homes, down 4.4% from the peak of 69.2% seen in 2004. Some analysts are saying that number is likely to dip lower, as younger Americans put off marriage and home purchase. The nation’s home ownership rate slipped to its lowest level in 19 years in the first quarter of this year, as more households rented and home sales remained low. Tight credit and much higher home prices are keeping some would-be buyers out of the market. Others are sidelined by high student loan debt or concern about the soft job market and the economy. There’s also evidence that young adults are postponing home ownership, either by choice or through economic necessity. It’s likely that households will be renting instead of buying for some time to come. Just 36.2% of households headed by someone younger than 35 owned their home in the first quarter 2014, down from 41.3% in 2008 — though the home ownership rate has fallen across every age group except for senior citizens. California has the lowest home ownership rate at just 56% and the San Francisco Bay Area home ownership rate is now below 50%.